Last year, when we had just about reached a year of trying to get pregnant (for the third time), I started looking for some support. 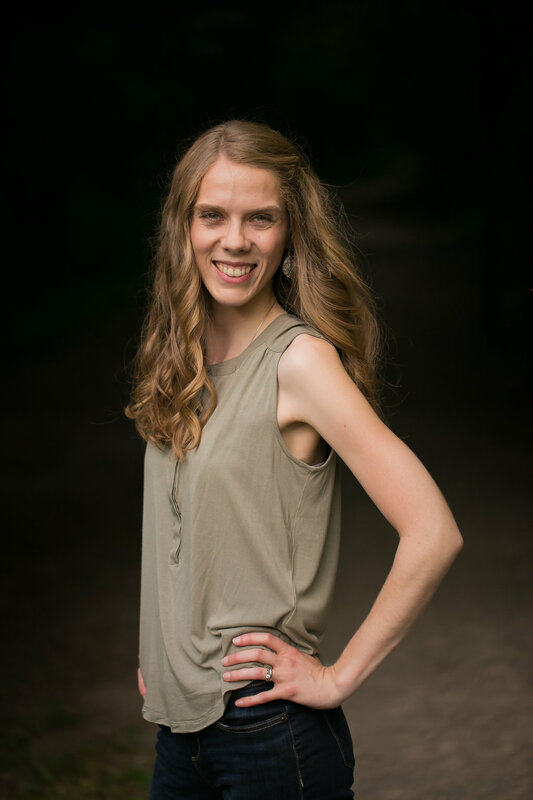 I really wanted to have someone in real life who I could talk to about the trials and stresses of infertility. So I did what I always do when looking for something, I turned to Google. 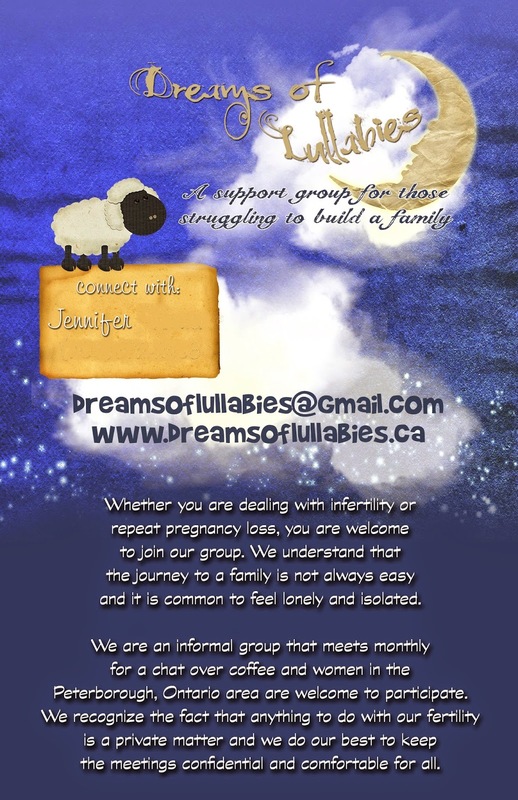 It brought up an infertility support group which I joined in June 2013 and attended one of the meetings. There was only three of us, a leader and two women currently struggling with infertility. The second meeting got cancelled due to personal reasons for all of us and a third meeting never happened. Mostly because I got pregnant. Well we all know how that pregnancy ended. The leader didn't actually live in town so she asked one of us if we could continue to head it up. I volunteered and for the last year, have been meeting with the one other member. It's been good and we have developed a nice friendship. We try and meet every few months for coffee and each time we get together, I really enjoy it. But I feel like there must be other women in this area who are struggling with infertility and might like to be part of a support group. The problem is, getting the word out. So I came up with a brilliant plan. Create an official group and start advertising! That's just what I did. I came up with a name (with the help of many friends) and my sister-in-law Trish helped me make up flyers and business cards. I LOVE how they turned out. What do you think? As you can tell from the above business card, I smudged out my last name and phone number, so the actual card looks a little nicer. The current plan is to post flyers for the group in different doctors offices and around town on public bulletin boards. I'm also pretty verbal about it on my personal Facebook page and amongst my small circle of friends/acquaintances. Hopefully, it will spread via word of mouth as well as people seeing the flyers. So far I haven't heard anything from anyone but I've only really been promoting it for a few days now. I'm really hoping that if there is anyone out there who is needing this support, that they will come across one of my flyers. This is one of my newest projects I have undertaken and I'm really excited to finally have it up and going. 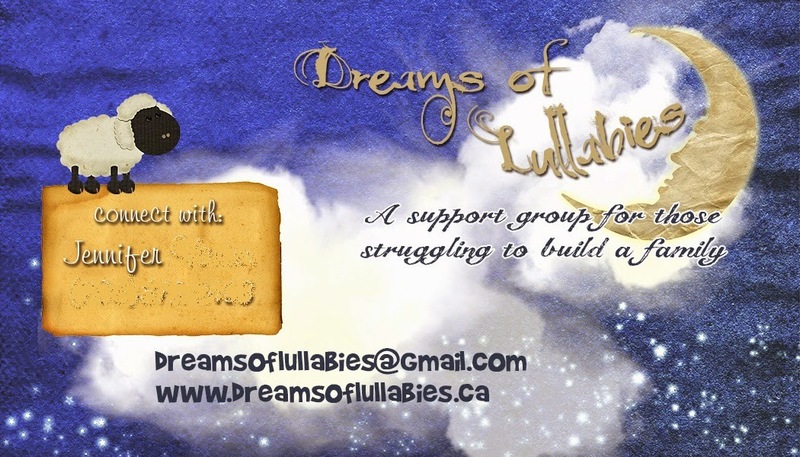 There is also a website (www.dreamsoflullabies.ca) that you can check out that has more information, if you care to know more. If any of you are in the Peterborough, Ontario area, please feel free to pass this information along. You never know who you may be helping! Have I mentioned lately that you are awesome? And talented? And I'm glad you are my sister. Good idea and a nice name. Good luck Jenn. Jackie - I think you have, but I rarely tire of hearing it. :) I'm glad you're my sister too. Jenek - Why thank you! You are an amazing person. Good for you for reaching out. HUGS!